While the rivers of northern Australia and the Murray-Darling Basin are renowned for their iconic, large-sized, fish species such as Murray Cod and Barramundi, the temperate inland waterways of Tasmania are home to numerous “minnow-type” fishes. Many of these species belong to the family Galaxiidae. In fact, the island state is a hot-spot for “galaxiid” diversity with 16 species (including 11 endemics). Galaxiids dominate the freshwater fish fauna of Tasmania (making up 64% of native fish species). While they don’t provide much sport for anglers, they are important components of its iconic freshwater ecosystems. These include glacial lakes such as Lake St Clair, the deepest lake in Australia, and the wild west coast rivers such as the Franklin. The life cycle and habitats of galaxiid fishes vary, with both migratory “diadromous” and non-migratory species. Some species use either strategy depending where they live. In Tasmania, migratory species typically inhabit streams as adults and move to the lower reaches of rivers and estuaries to breed in late autumn. They scatter a few thousand eggs over aquatic vegetation or rocks in the shallows. Their larvae grow in estuarine and near-shore marine areas and migrate back into freshwater as schools of juveniles, known as whitebait. Non-migratory species complete their life cycles in lakes and lagoons, and typically produce fewer eggs (hundreds not thousands). 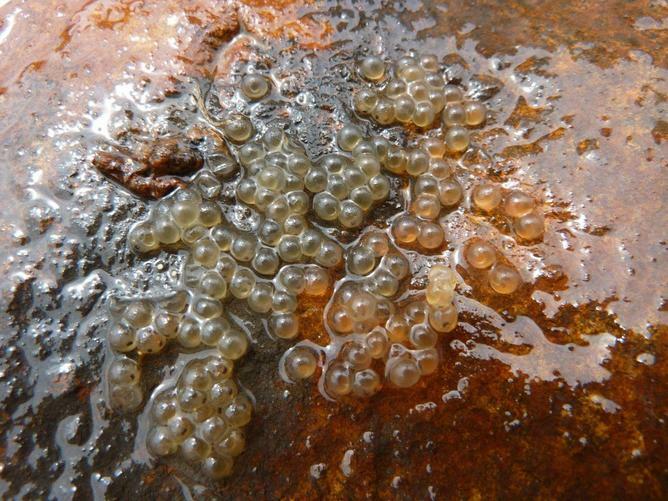 Like overly-protective parents, non-migratory Paragalaxias species carefully attach adhesive eggs to the undersides of rocks along lake shorelines and guard them for up to a month until they hatch. The larvae of some non-migratory species live in open water until they are big enough to require refuge from predators, after which they seek shelter amongst rocks and aquatic plants. While some Tasmanian galaxiids can live for up to 10 years, most live to less than three years. All endemic galaxiids to Tasmania have limited distributions. This along with habitat alterations and their relatively low fecundity, short life-span, small-size and inability to coexist with introduced fish has led to the demise of several species. Ten of the endemic Tasmanian galaxiid fishes are listed under Tasmanian legislation and nine are listed by the Commonwealth. According to Commonwealth listings, the Arthurs Paragalaxias (Paragalaxias mesotes), Clarence Galaxias (Galaxias johnstoni), Golden Galaxias (Galaxias auratus) and Swan Galaxias (Galaxias fontanus) are Endangered. The Pedder Galaxias (Galaxias pedderensis) is Extinct in the Wild. The distributions of these species are highly restricted and some are contracting. Their populations are also fragmented. For example, the Arthurs Paragalaxias occurred naturally in two lakes in the central highlands, but since about the mid-1990s this has declined to one lake. The Swan Galaxias has several highly fragmented populations in headwaters of the South Esk Basin and Swan River. These are thought to be remnants of a much larger natural range. 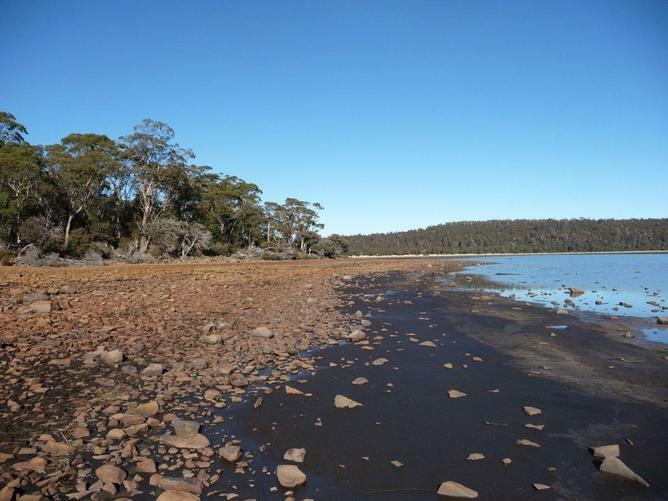 The Pedder Galaxias is lucky to still exist: its sole natural population in the impounded Lake Pedder has gone, but the species persists in two translocated populations in south-west Tasmania. The threats faced by the five most imperilled Tasmanian galaxiids are, unfortunately, the same threats faced by the whole group. Introduced fish species, especially the aggressive Brown Trout, threaten all of these fishes. They have been implicated in further restricting the distributions of the Clarence Galaxias and Swan Galaxias, and causing the decline of the Pedder Galaxias. Altering water levels in lakes for hydro-power or water supply purposes can impact breeding of the non-migratory species. It can even dewater their incubating eggs, and degrade their preferred habitat along the shore. This threatens species such as Arthurs Paragalaxias and Golden Galaxias, and likely contributed to the decline of the Pedder Galaxias. Climate change will probably add to the galaxiid’s woes, with projections suggesting water running into lakes will decline. Fortunately, several strategies are in place to help conserve the Tasmanian galaxiids. Action under recovery plans has included population monitoring and translocation. In fact translocation saved the Pedder Galaxias from extinction. Recent research into the ecology of several galaxiid species and impacts of changing water levels has provided a basis for managing lake water. Proactive manipulation of water levels has also been used to assist breeding of Golden Galaxias during droughts. Keeping trout out of some waterways will be crucial for the survival of Tasmanian galaxiids. 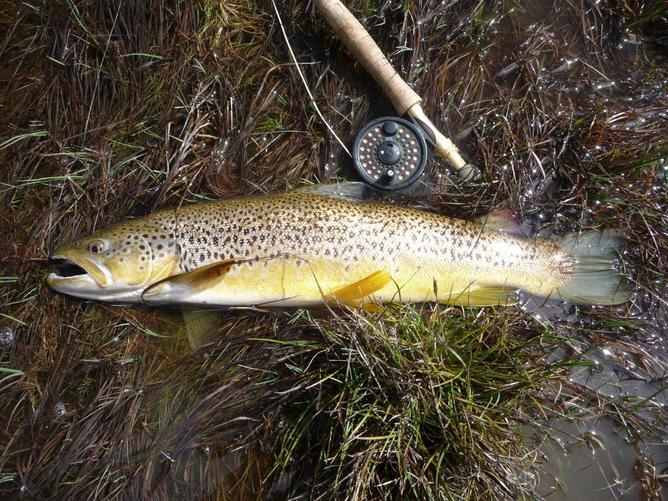 Fishery Management Plans for recreational trout fishers promote the importance of maintaining trout-free waterways. The Tasmanian galaxiids highlight the plight of many small and endemic fish in Australia — it’s not fishing that’s the problem, but many other human activities that threaten the fishes and their habitats. Recent work by scientists and fishery and lake managers has led to the recovery of some species and protection of others. Continuing to advance scientific understanding and refine management prescriptions will safeguard threatened galaxiid populations as their circumstances change. Scott Hardie is Adjunct Lecturer at University of Tasmania.